Chapters 4,5, 6 and 7 The basic sciences of nutrition/hydration, human physiology, and thermal conductivity provide a foundation for understanding our part 3 core technologies used by textile and outdoor product companies. Our start point is that when out in the wilds………. the only real sources of heat are food and the sun. We cover nutrition and hydration, (chapter 4), followed by human physiology (chapter 5) and then look at the way in which garments are designed to prevent heat loss by conduction, convection, evaporation and radiation and manage water coming from you (perspiration) and the environment (rain/snow). At the same time your clothing options must be adaptable enough, combined with user skills and know how, to prevent overheating. 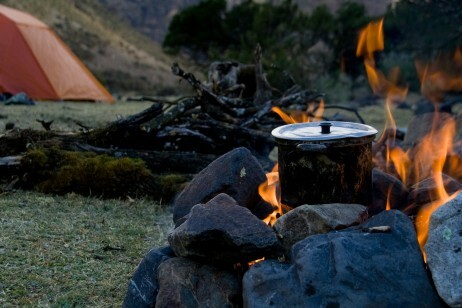 Chapter 4 Nutrition and hydration for mountaineers and other outdoor activities. Garments are your mobile environment – but they don’t provide heat! Out in the real wilds only you, the sun and the food you eat are the heat sources. The amount of heat derived from different foods is very variable. Food is converted by our bodies into approx 25% muscle glycogen and 75% heat. We also explore the history and influence of nutrition as related to exploration and mountaineering. We are subject to the laws of mammalian biology. 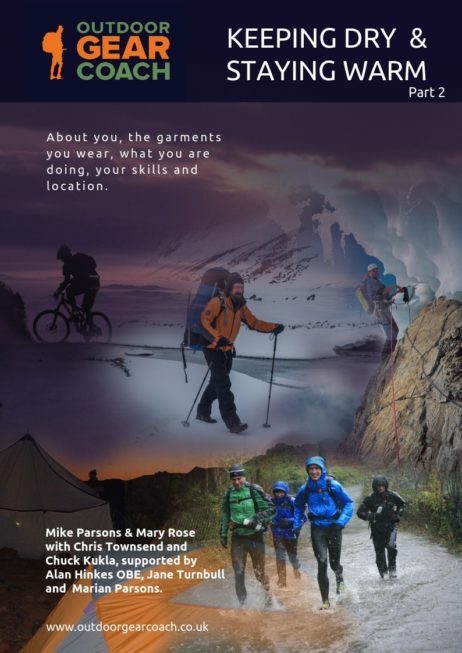 We get too hot, too cold, too sweaty: and much of the amazing innovation in outdoor clothing of the last 30 years is focused on alleviating these factors which make us uncomfortable. But the garment designers and textile technologists can’t do everything for us.This chapter explains how our bodies work when reacting to heat and cold, and how we can help ourselves when we recognise what is happening or about to happen. Chapter 6 Heat losses and thermal conductivity. Staying warm is actually a skill which is usually under recognised. The skills of staying warm are being lost as the population urbanises and lives in air conditioned or temperature controlled home, work and travel environments. An understanding of the 5 mechanisms of heat loss and gain from our garments and surroundings is a big help when applying your skills. Conduction, Convection, Radiation, Evaporation and Respiration. The speed and volume of this heat loss also relates to the thermal conductivity of your tools, (aluminium, plastic, rubber, steel, stainless steel) and the natural objects (rock, ice, trees) you touch, sit and stand on. Chapter 7 Moisture management: Keeping dry, Inside and outside. Keeping warm is often about keeping dry. 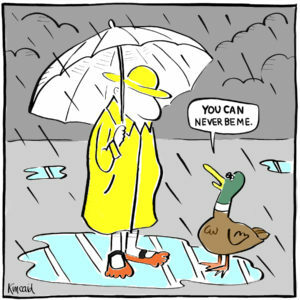 Keeping dry is all about moisture management, of the rain outside and sweat inside. We call this ‘The Battle of Understanding’ because it’s not all about expensive highly promoted outer layers, but is very influenced by what you wear underneath and how you proactively manage these layers, on the move and in terms of aftercare. CK, our USA editor: When I talk about moisture management in-store to customers I often use the phrase, ‘the water is not always able to make it out of your layers’. When I say that it takes people by surprise. But it also reflects their experience to some extent. They read the ‘ads’ which do not match their experience, so something must be ‘broken’ or not working. Then I explain that breathability and ‘mvtr’ are useful parameters but it’s an incomplete picture. Chapter 7 is our complete picture. 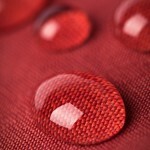 An introduction to the concept of surface tension, which controls both beading and wicking/capillary action.